This teen drama is somewhere between a young adult novel and a psychological thriller. Set in the UK, specifically the Bristol area, Zoe is 17. She lives with her mother, step father, step brother Marcus, and baby half-sister. It's a respectable household, and they have solidly middle class goals. And as with most such families, they have dark secrets. But these secrets are especially troubling: a few years ago Zoe was driving a car when she got into an accident that killed three of her friends. Much of the story is the gradual uncovering of what led to the accident. But there's much more. Part of it is that we are told right at the start of the novel that Zoe's mother dies. There's a lot of skill in the telling of the story, which takes place over about a day, starting off with a music recital, and moving back to Zoe's home. Zoe is the main narrator, and she flashes back to her past. There are also other narrators, and other devices to fill in the story. By the end, we see the horrific reality behind the supposedly proper exterior of this family's life. Macmillan succeeds in creating a claustrophobic atmosphere and showing the menace of the victimization of young people by adults. The performance of the unabridged audiobook by Penelope Rawlins and Dugald Bruce-Lockhart also manages to highlight the struggle of people to fit in with social expectations while managing their powerful emotional needs. It doesn't make for a comfortable experience, and reader reviews on Amazon show some powerful negative reactions. 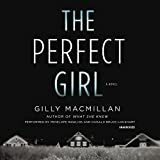 The Perfect Girl is quite depressing, unfolding its misery with an inescapable fate, laying bare the tensions of modern British bourgeois family life.